'linedeftypes.thing.178.arg1' references unknown enumeration 'spawn_projectile'. 'linedeftypes.thing.175.arg1' references unknown enumeration 'spawn_projectile'. 'linedeftypes.thing.136.arg1' references unknown enumeration 'spawn_projectile'. 'linedeftypes.thing.134.arg1' references unknown enumeration 'spawn_projectile'. This happens also to Harmony, Chex, Chex3 and Action2 configs... WTF is happening? I've had this problem since r2164, before of it I never had problems like this. Any aid about it could be more appreciated. Thankx! PS: I didn't change the .cfgs, these are the freshly installed ones. Last edited by Ozymandias81 on Wed Aug 31, 2016 23:36, edited 1 time in total. It's probably best to report this here. 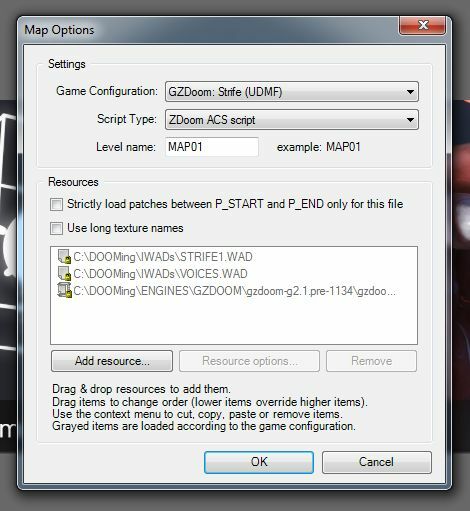 Thankx Blue Shadow, I'll submit immediately the post properly on ZDoom Editing Forums. Have a nice day. I think this could be closed.